As part of our quest to simplify and downsize, we are trying to become truly paperless. Though we’ve heard that stated as a goal of many businesses, we certainly haven’t seen it achieved. Our incoming paper stream has been greatly reduced as we’ve opted for electronic statements, bills, etc. So, much of our accumulated paper is from prior years. I don’t know why I’ve felt the need to hang on to the last paper statement, even when it is from 3 (or more) years ago. I guess they give me some form of security. In case the internet disappears one day, I’ll know what accounts we have. Oh, and Chris discovered some more boxes of documents that we saved after the fire. The fragrance when we open the boxes is a mixture of smoke and dryer sheets used to disguise the smell! So we’re emptying our paper files, and selecting very few items for storage. As the stack of “dispose of and shred” grows larger, we’ve been on another paper mission. Now we are printing the pages of items required for our French long-stay visa for visitors. The dining room table is covered as we print the many documents required by the French government. Since we both need 2 copies of everything, some things must be printed 4 times!! 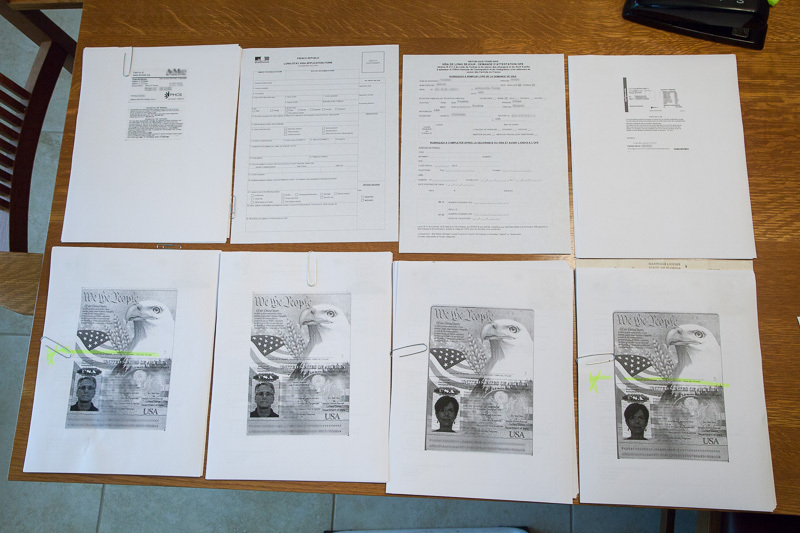 We’ve read the requirements from the consulate in Miami , blog postings from US travelers who’ve been successful in their endeavor for this visa, and our pile of documents grows. The end is in sight; it must be, as we travel Wednesday for our appointment Thursday morning. I’m sure we’ll match our documents to the list of requirements, at least 4 times! 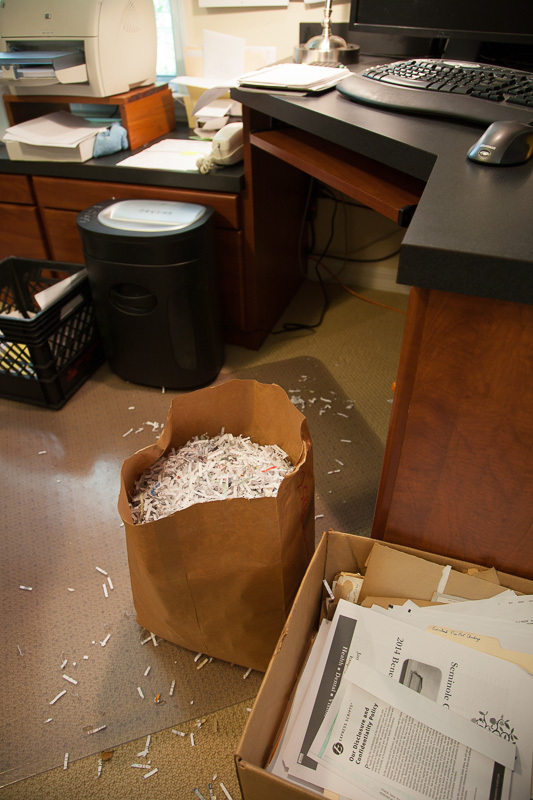 Hopefully we’ll leave most of the documents at the consulate, otherwise the shredding will resume. The final frontier. The Phooshes next mission: to explore strange new worlds, to seek out new life and new civilizations, to boldly go where no one I know has gone before. Good luck!